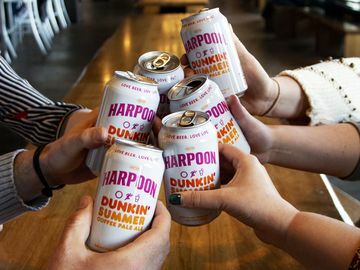 As professional basketball teams head into a star-studded weekend and the season starts to really heat-up, we thought it would be a good time to look at how Dunkin’ is helping to keep some of the these teams running throughout the season. We will start right down the road from the DD Mothership with the Boston Celtics. While the Celtics may be in a re-build mode, they have a feisty team that plays hard. 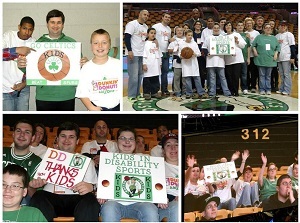 Since the 2000-2001 season, the Celtics and Dunkin’ have partnered on the Dunkin’ KidZone, a community outreach program that allows for children who may not typically be able to attend a Celtics game, to attend a game in person. Created almost fifteen years ago, the Dunkin’ KidZone is a special seating section designated for children from different charitable organizations. Dunkin’ hosts the KidZone for every home game and in partnership with the Celtics, gives the kids pregame access to the court, a photo a half court and special T-shirts. 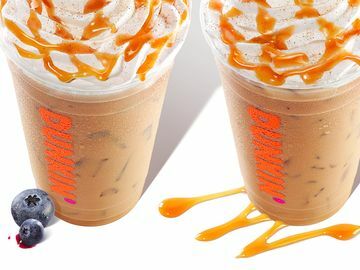 Before the start of one of the most anticipated basketball season in Cavs history, Dunkin’ announced a partnership to become the Cleveland Cavaliers’ official coffee. 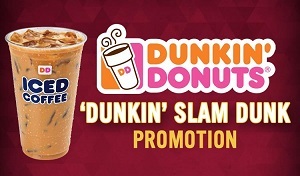 If you attend a Cavs game and they happen to score on a slam dunk in the 3rd quarter, you will receive a free small Iced Coffee that is redeemable within 24 hours of the game (the offer is valid to guests in the Cleveland area). 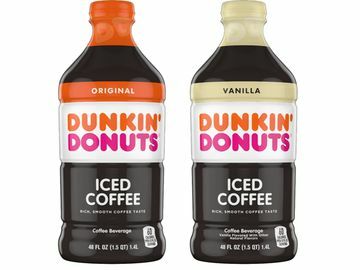 With the team playing at such a high level, it appears as if we are going to be giving away a lot of free small Iced Coffees in Cleveland before the regular season ends on April 15th! The fans of Chicago are hoping the Bulls continue to remain near the top of the Eastern Conference. 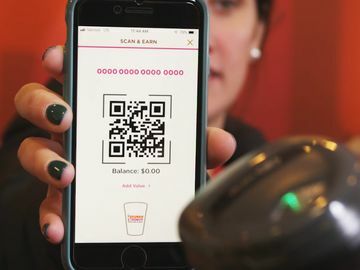 One “cool” reason for this is that for select games, when the Bulls win, Chicago residents will receive a free small Iced Coffee the next day! The remaining games in this promotion take place on March 1 and March 18. 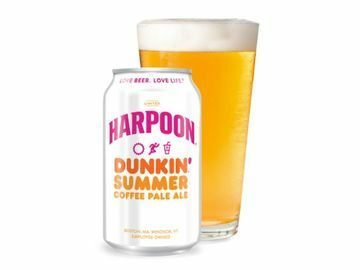 You can bet that there will be additional playoff buzz in the city for these games, especially for all the Dunkin’ fans with free coffee on the line! America runs on Dunkin’, which is why it makes sense that Dunkin’ Donuts is the Official Coffee and Donut of the Washington Wizards. On the court, the DC team is playing for a top spot in its conference and they’re just a few wins away from getting a top seed in the playoffs. 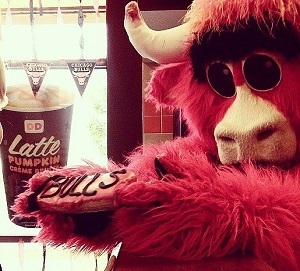 Off the court, the Wizards are teaming up with Dunkin’ in a number of fun ways. 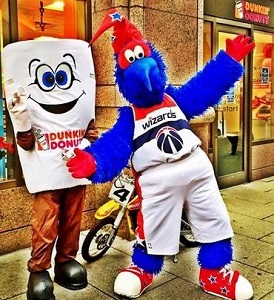 Cuppy and G-Wiz visited a local DC Dunkin’ for a Pep Rally event on Feb. 3. 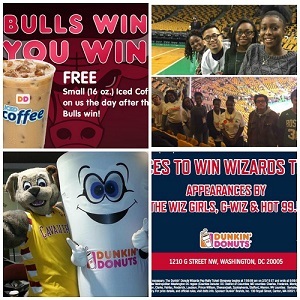 Later in the season, Dunkin’ swag will be given away to all Verizon Center attendees of a Wizards game! Enjoy the rest of the high-flying basketball action this season and be sure to check back on our blog to hear more about our sports partnerships!